The Double Play Superbet slot game from NextGen Gaming sounds like the kind of game show we might find in the breaks of The Running Man or hosted by the mysterious Bixby Sneider in Robocop. The good news for us is that we don’t have to risk our lives against any cyborgs to score winnings on the trademark base-game and bonus wins offered by NextGen in this top-drawer slot title. I don’t know about you, but I’d buy that for a dollar! Are Double Play and Superbet gameplay features or in-game bonuses? The truth is that the Double Play feature is a bonus that runs through the gameplay, so we could put in the pantry with our cupcakes if we wanted. We can play the Double Play feature to win more with bigger Wild multipliers and play Superbet to win more with more enhanced reels. 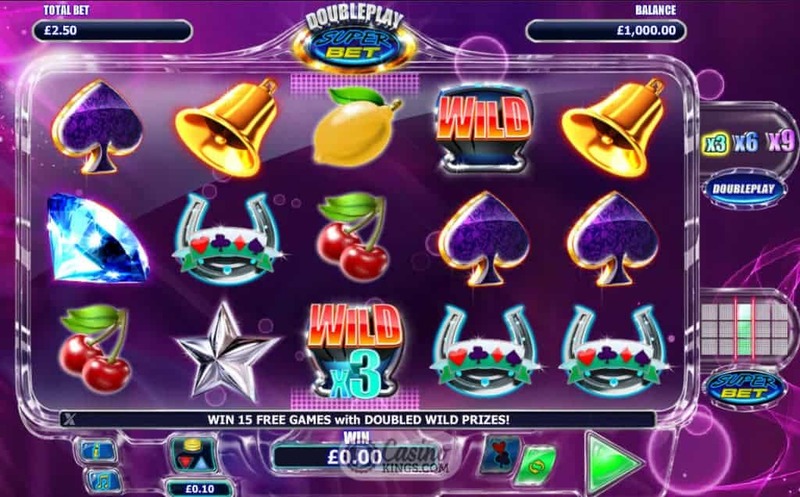 So here we see the distinction – Double Play feature increases our Wild multipliers while Superbet increases the frequency of the Wilds through the reels. Fortunately any gamer confusion is completely removed by NextGen’s slick game design. When we select an increase in Double Play the game highlights the relevant multiplier while also changing the background colour of the reel case for added effect. Altering the Superbet alters the Superbet graphic immediately beneath the feature, so we now know exactly where we can expect our enhanced Wilds. With such an intricate gameplay and bonus structure this simple and effective design places us fully in charge of betting strategy. 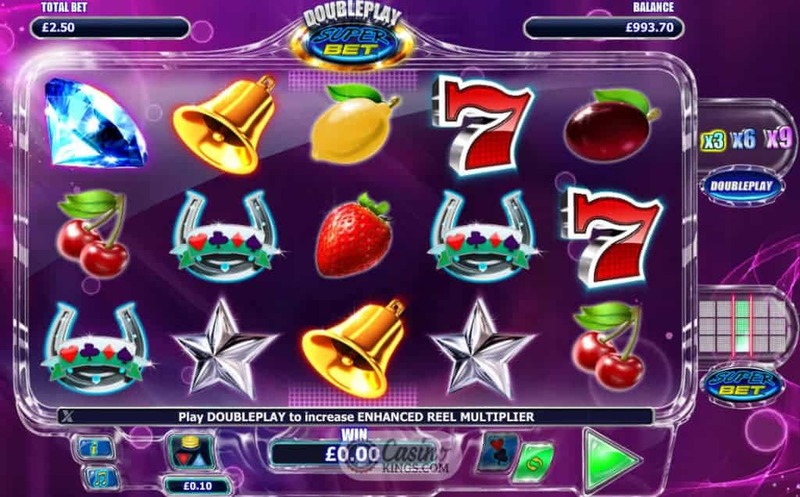 Oh, need we mention that the classic slot symbols of Fruits and 7s play a part in rewriting this chapter in gaming history? With a name like Double Play Superbet you’d better hope NextGen have included some dingo-hot bonus features in the ilk of Paul Hogan – “That’s not a bonus feature…this is a bonus feature!” This is kind of a rhetorical point, because this is NextGen Gaming, so of course they have. We use the SuperBet controls to select the number of reels we wish to enhance with Stacked Wilds and the Double Play feature to ramp up our Wild Multipliers. 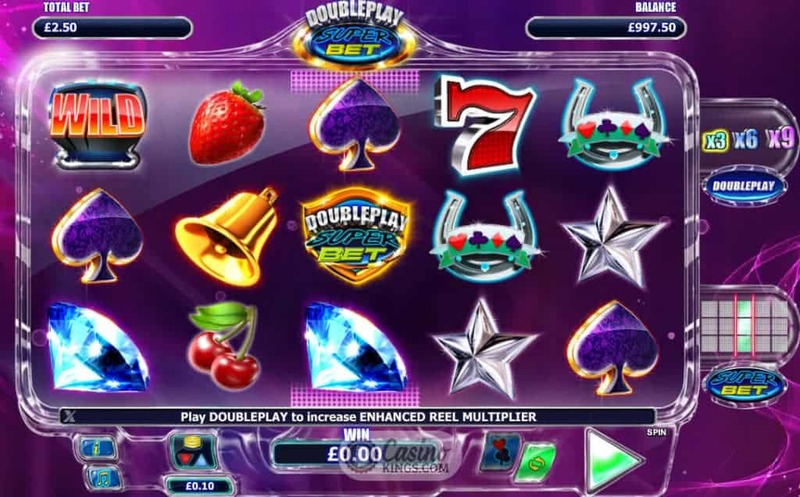 Meanwhile, three or more Double Play Superbet Game Logos launches the Free Spins feature – 15 free games with double the Wild prizes on enhanced reels. 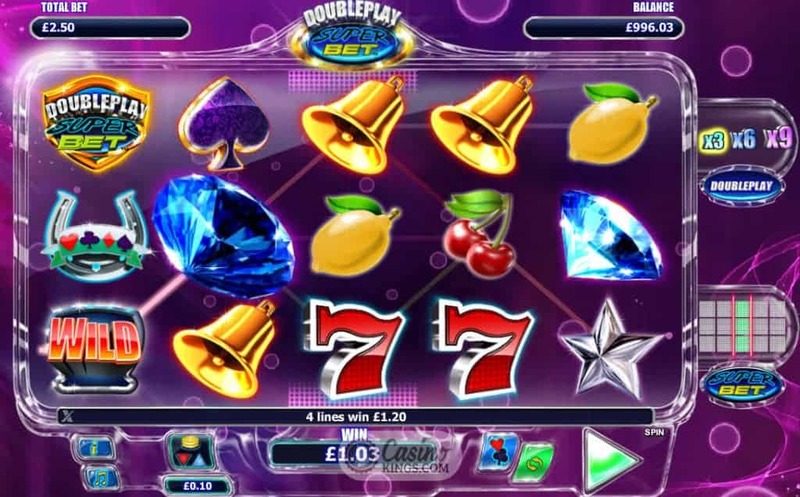 Add to this NextGen’s classic Gamble feature that has been given the Double Play Superbet makeover and we are looking at one of the finest modern slots games ever to grace the field of online play. Double Play Superbet sounds like it is a game show in a futuristic world because it is exactly that – 21st century. NextGen continue to develop games and bonuses that challenge just what we expect from online gaming, and it is precisely this that makes NextGen and the NYX Gaming group forerunners in the OG world.